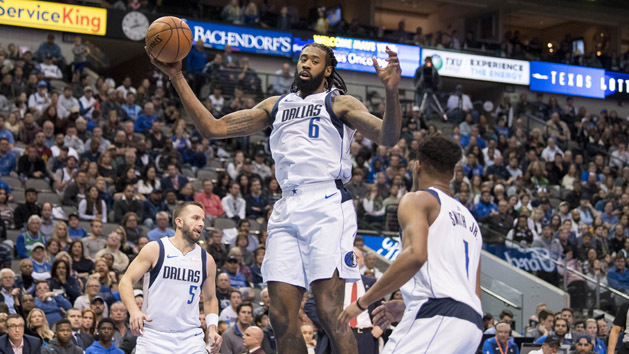 After an abrupt U-turn, Dallas is one of the hottest teams in the league as it enters a home game against Portland on Tuesday. Dallas has won eight of its last 10 games, joining Toronto, Philadelphia, the Clippers and Oklahoma City. The Clippers would be even hotter, but the Mavericks took them down with a 114-100 victory Sunday. Dallas, which started the season 2-7, has played itself into the top eight in the Western Conference for the first time this season, and it will have a chance to catch the seventh-standing Trail Blazers in the first of their four meetings this season. The Mavericks are at 11-10 and have won their last seven at home. Portland has lost five of its last six after falling to San Antonio on Sunday in the first game of a quick two-game Texas trip. 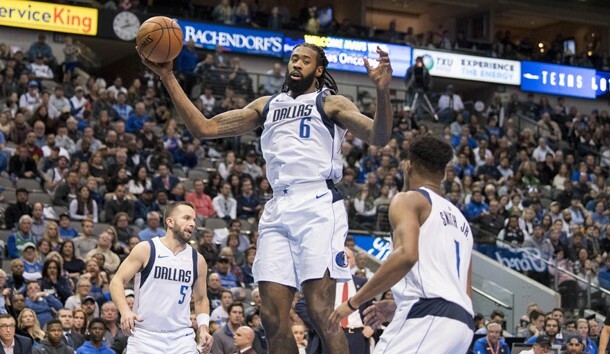 For the Mavericks, the takeaways from the Clippers game were not only the season-high 30 points by Harrison Barnes and the ability to compensate for the loss of top rookie Luka Doncic but also the toughness typified by guard Dennis Smith. Smith suffered a chipped a tooth when he appeared to be struck by an elbow from Clippers guard Patrick Beverley in the third quarter, but he reentered the game and played well down the stretch. “I got my tooth knocked out, but I came back in looking pretty as a girl, so I’m alright,” Smith told reporters. In the final sequence of the game, Smith blocked a shot by Clippers leading scorer Tobias Harris, corralled the rebound, and made two free throws for the final margin with 9.2 seconds remaining. “I thought it was one of the best competitive things I had seen in a long time,” Dallas coach Rick Carlisle said. The Mavericks also have beaten Oklahoma City, Golden State, Boston and Houston in their 10 games while holding those opponents to 43.2 percent shooting from the field. “We have a lot of tough guys on our team and me knowing where I’m from, I’m used to that kind of play so I love it when the game gets like that,” said Smith, who was raised in Fayetteville, N.C. and attended North Carolina State. Without Doncic, who was out with a knee injury, Barnes and reserve point guard J.J. Barea picked up much of the offensive slack against the Clippers. Barnes was a rebound short of a double-double and made three of the Mavs’ nine 3-pointers. Barea had a season-high 24 points, 20 in the first half, while continuing his outstanding play off the bench. Barea is averaging 16.1 points and 5.8 assists a game during the last 10 games while shooting 54.1 percent from the field. Portland has given up an average of 123.2 points in its five recent losses. It fell to Milwaukee by 43 points to start the skid, and also lost 28 to Golden State and 13 to the Spurs by 13. Damian Lillard had 37 points and 10 assists for his third double-double of the season against the Spurs, and C.J. McCollum had 24. “We’ve given up a lot of points, but the league’s funny right now,” Portland coach Terry Stotts told reporters after the San Antonio game. Lillard, who is averaging 27.0 points, 6.3 assists and 5.0 rebounds a game, has been on a roll. He had 40 points in a victory over Washington on Nov. 18 and had 41 in the only game the Blazers have won in the last six, a 115-112 victory over Orlando last Wednesday. Lillard made a franchise-record 10 3-pointers in 15 attempts against the Magic, and has made 16-of-34 in the last three games after going 3-of-13 from distance in a four-point loss to the Clippers on Nov. 25. “I knew eventually I would get hot and start making them,” Lillard told reporters. Doncic is expected to return after missing the Clippers game with a sore right hip.